Wash the mangoes and dry them with the kitchen towel. Peel the mangoes and dice them to the size of your choice. I could procure nearly two and a half cups of diced mango from half a kilo of whole mangoes. Discard the stones (गुठली). In a non-corrosive pan or wok, heat the oil and bring to smoking point. Switch off the heat and let it cool for a while. Switch on the heat and keep it at medium. Add the panch phoran and once it starts crackling (it might splutter), add turmeric and coarsely ground chilli powder (be careful not to burn them) and immediately add the diced mango pieces. 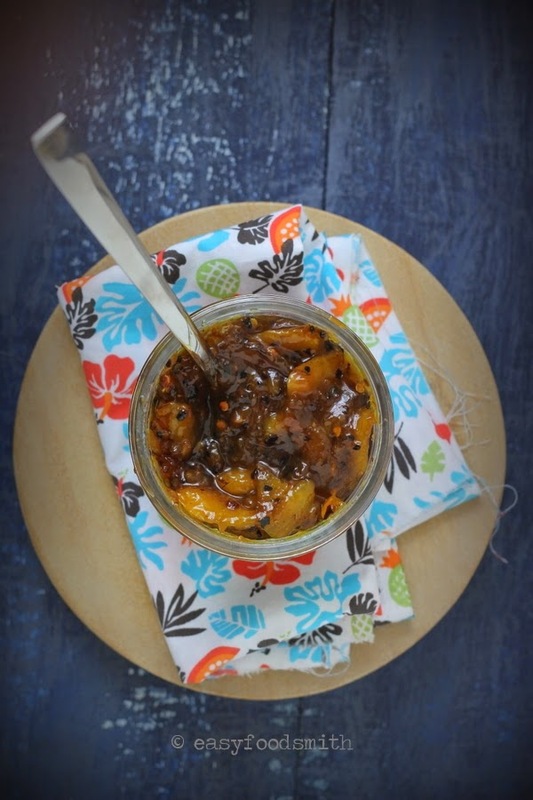 Cook the mango for 10-15 minutes, depending on the size of the diced mango ensuring it doesn’t turn mushy. Stir the contents often to prevent them from sticking to the bottom of the pan or burning. 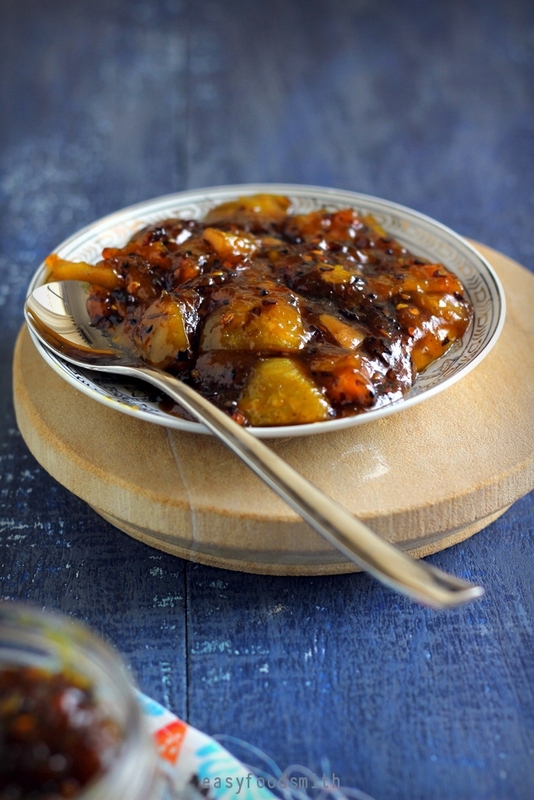 Add the salt and jaggery or sugar (whatever you are using) and lower the heat to minimum. The contents will become somewhat watery. Stir the ingredients and cook covered for another 5-7 minutes. Cool and transfer to dry air tight jar. Note: Cooking time of the mangoes will depend on the thickness of the diced mango pieces. Note: The launji will thicken on cooling so ensure to not overcook it in an attempt to thicken it. 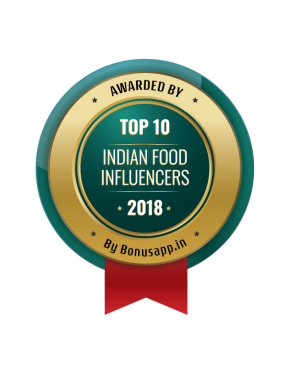 Note: Keep the launji refrigerated. It will stay for 5-7 days. Note: The color of the launji will depend on how mature/aged the jaggery is. The mature the jaggery, darker the colour. Note: Do NOT add water at any stage of cooking the chutney. This is the second recipe I’ve seen this week that called for Panch Phoran. The first was a roasted pork roast and now a fruit chutney. Looks like a very versatile seasoning. 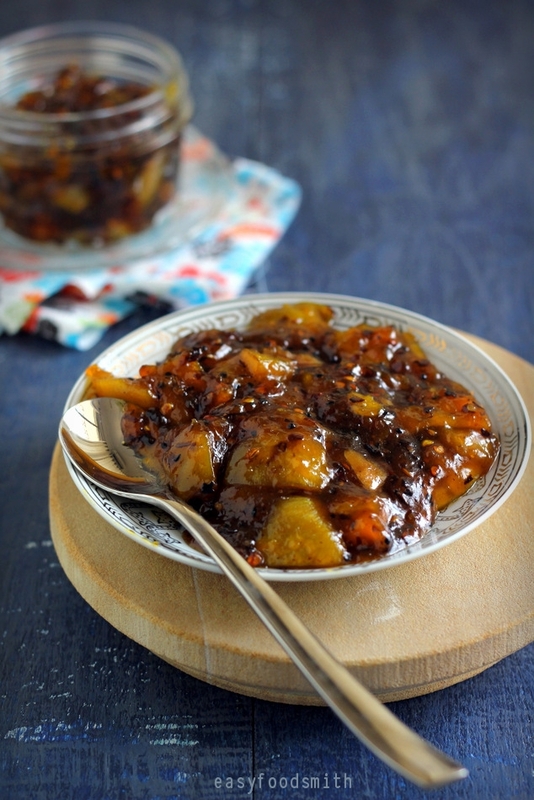 Being a lover of fruit anything this mango chutney with green mango sounds wonderful! Give it a go MJ. The warm earthy flavors of Panch Phoran are really something. Thanks for visiting and leaving your thoughts Priya. Lip smacking recipe..Too good! Lovely clicks dear!